After introducing the idea in 2015, the New Administrative Capital, which spans over 1,135 acres, is the government’s resolution to manage Egypt’s progressive population and expanding new urban spots. During the last Euromoney Conference, the Egyptian prime minister noted that Cairo was facing issues with all the governmental constructions and premises being centralized longtime ago in downtown. 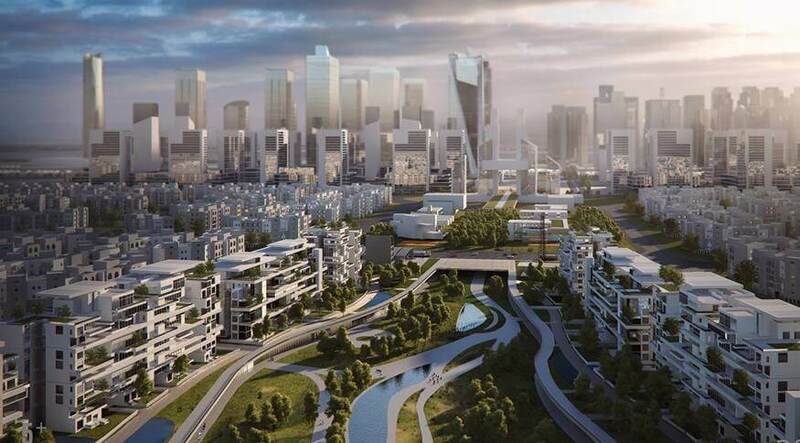 The new plan aims to relocate all these offices to the New Capital in the “Government District” while also serving out an economic goal being in a mid-way between Cairo and the Suez Canal Zone. newly new selected location was chosen to home the main chief buildings scattered all around Egypt, as well as the new government premises. The Government District will be fully finished soon, and all the requested institutions will relocate in mid-2019, the headquarter of the presidency will also be moved to the new capital by June 2019. The 1st phase costs around 60 billion L.E and span over 13,000 feddans, including 30,000 housing and major infrastructure projects, The domestic areas in the project will include a variety of accommodation units types, including apartments, villas, twin houses and commercial areas. The project will house an international airport and facilities, including but not limited schools, universities, hospitals, hotel, entertainment and transportation. The project will also be home to 20 towers, one of which will be the tallest tower in the world with a record height of 1000 m2.